Iron ore mining is on the wane in Goa but its residents are far from being at peace. Coal is their next big problem, and all their ire has centred on the port at Mormugao. Thousands of Goan fishers have one strong message for the Indian government. If the Union environment ministry permits the Mormugao Port Trust (MPT), a government-owned port located near Vasco, to dredge its channel and expand its berths for handling coal, it will be the end of the livelihoods of local fishers, who say they will then have no choice but to take their own lives. In early May this year, a one-of-its-kind public hearing for three projects of the MPT were held at Vasco’s Tilak Maidan. Apart from the fishers, residents of Vasco city, homemakers, students, priests, lawyers, researchers, environmentalists and ecologists attended it. It went on for eight days, with an extension of five more, making it possibly the longest public hearing in the country. Each project was heard separately. The first is the terminal capacity expansion of two berths at MPT run by Jindal’s South West Port Ltd, which plans to double its coal imports to 14 million tonnes (MT) per year. The second proposed project is the removal of natural, previously undisturbed sediments to create a new/expanded navigational channel so that capesize vessels (ultra-large cargo vessels with over 150,000 deadweight tonnage capacity) could reach the port. The third project was the expansion of three more berths for coal and other cargo imports by Adani (berth 7) and Vedanta (berths 8 and 9, and barge berths). Together, these three projects aim at a four-fold increase in coal imports by the MPT – about 51 MT per year by 2030 – mainly to feed steel plants in neighbouring Karnataka. Several companies have lined up expansion plans for their steel plants in the state, and Mormugao happens to be the nearest port. This has pitted a majority of the Goans against the MPT redevelopment projects because they are aware of, and want to stay away from, the health and environmental impacts of ‘dirty coal’. “Maka coal naka” (‘I don’t want coal’) and “Our goal, no coal” have become their slogans of choice. The Jindal project was listed for clearance at the 21st meeting of the environment ministry’s expert appraisal committee, held between August 21 and August 24 in New Delhi. Agenda no. 21.3.23 of the meeting read: “Proposed terminal capacity enhancement at Berth 5A-6A of Mormugao Port for handling coal and coal products, iron ore and limestone including unutilised and steel products at Mormugao Port Trust, Goa by M/s South West Port Ltd – Environmental and CRZ Clearances (IA/GA/MIS/26758/2015; F.No 10-5/2015-IA-III)”. The meeting’s outcome remains unknown. Meanwhile, the other two proposed projects haven’t yet been listed by the EAC for clearance. 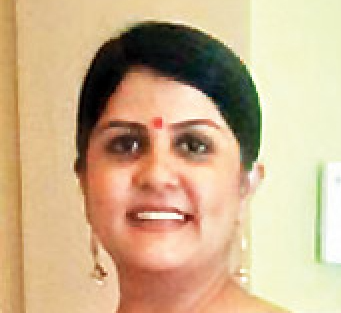 The spokesperson of the Goa State Pollution Control Board (GSPCB) told The Wire that the board had compiled all comments on the public hearings and forwarded them to the environment ministry. However, she refused to comment on whether all three projects had been assessed together. Mormugao Port is spread across 212 hectares, and is a natural harbour located at the mouth of the Zuari river in Mormugao taluka of South Goa district. In 1963, it was declared a major port and is today considered a leading iron-ore exporting port of India. It has seven cargo-handling berths, two of which are dedicated coal berths (berth 6 of Jindal and berth 7 of Adani Port Terminal Ltd.) and one dedicated iron ore berth (9). It also has six mooring dolphins, isolated marine structures used to moor vessels. 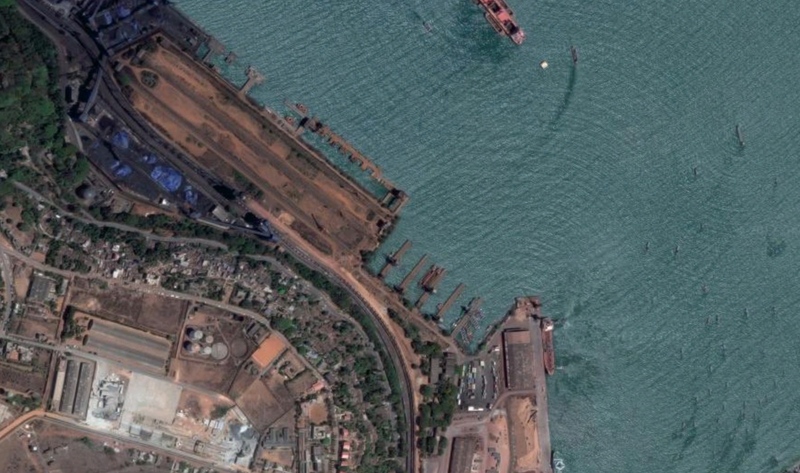 In 2010, when iron ore mining was at its peak in Goa, the Mormugao Port exported over 40 MT of the mineral. But since October 2012, the business took a backseat after the Supreme Court banned Goa from mining or exporting iron ore. While the mining ban has since been partially lifted, it is unlikely to reach its former proportions. “Due to fall in iron ore prices in the international market and several restrictions by the Supreme Court on iron ore mining, Mormugao Port is now focusing on other cargo as it tries to position itself as a multi-commodity port,” noted an October 2016 draft report on the redevelopment of berths 8 and 9 and the barge berths. Currently, Jindal, with its steel plant located at Toranangallu in Karnataka, imports about 7 MT of coal and exports about 1 MT of finished steel products through MPT every year. However, the plant requires more than 15 MT of coal a year, a demand that is met through ports located on the country’s eastern coast. So as part of its expansion plans, Jindal is gunning to increase its coal imports at MPT from 7 MT/year to 14 MT/year. Apart from Jindal, Adani Ports & SEZ Ltd. has planned a coal handling terminal at the existing berth 7 of the MPT, at an estimated cost of Rs 400 crore. The minimum capacity of the coal terminal is 4.61 MT per year, expandable to 10 MT/year. Meanwhile, the MPT itself has some work to do. The October 2016 draft report notes that the present berth 8 (liquid cargo) and berth 9 (iron ore) are “underutilised facilities” and will have to be redeveloped. The consequent plan includes covered storage for coal cargo and open storage for general cargo, construction of bund, extension of berth face and reclamation of an area of 11.40 ha. 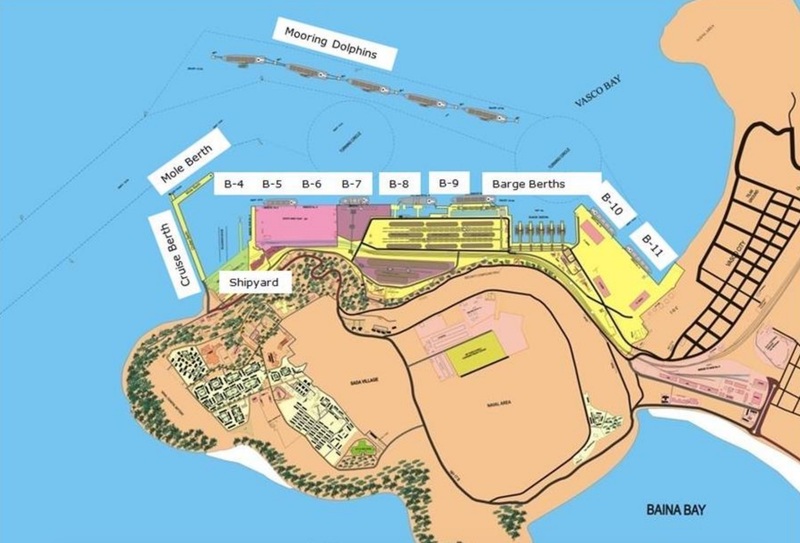 So, according to the same plan, after redevelopment is completed, berth 8 will be converted into a bulk berth for handling coal; berth 9 will be given to handling containers and general cargo; and berth 9A will be used for handling iron-ore exports. The total cost of this project is Rs 1,145.36 crore. Last year, Sterlite Ports, a wholly-owned subsidiary of Vedanta, signed an agreement with the MPT to redevelop berths 8, berth 9 and barge berths on a DBFOT (develop, build, finance, operate and transfer) basis for a concession period of 30 years. Whereas iron ore exports have slid at MPT, coal imports through the port have increased from 2.7 MT in 2001 to 12 MT in 2017. And this is how the MPT plans to increase coal imports to 51 MT by 2030: with an incremental series of expansions. This is not all. Nitin Gadkari, the Union minister of road transport and highways, has announced nearly Rs 15,000 crore to be spent on developing road transport in Goa. This includes the construction of three highways that will allegedly help transport coal to Karnataka. “The four-lane highway between Goa and Belgaum passes through Bhagwan Mahaveer Sanctuary and Mollem National Park. Port expansion projects and other related infrastructure projects will fragment the Western Ghats and destroy their unique ecosystem,” said Prabhudesai. The MPT’s ‘dream’ of fourfold increase in coal imports cannot be met without yet another project: the capital dredging of its approach channel. The port has a six-km-long entrance channel that is currently not suitable for capesize vessels because the depth of its outer channel is 14.40m and that of its inner channel is 14.10m. Capesize vessels are much bigger than Panamax vessels (ships that travel through the Panama Canal and possess an average capacity of 65,000 deadweight tonnage), and provide a saving of $7 per ton of material handled. So the MPT claims that handling 20 MT of cargo in a year by capesize vessels can help save $140 million a year. The companies importing coal through the MPT are also set to gain in terms of freight benefits. The MPT also says that coal traffic can be increased substantially if larger vessels can be serviced, so it has proposed to dredge the approach channel of the port. The outer channel is to be deepened to 19.80 m and the inner channel, to 19.50 m. The total cost of this project has been pegged at Rs 380 crore. If it goes through, the activity will remove 15.40 million m3 of material, mainly sand, clay and some ‘weathered rocks’, all of which will be dumped at a ‘designated dumpsite’. But it has already come under legal flak. In September 2015, in a highly disputed move, the environment ministry exempted the dredging project from public consultation. Half a year later, in February 2016, the ministry also awarded the environmental and CRZ clearances to the project. These clearances were challenged by the Old Cross Fishing Canoe Owners Co-Operative Society and others, who filed an application before the National Green Tribunal’s (NGT’s) western bench at Pune. “Since it had come down to our livelihood and survival, we challenged the MPT in front of the NGT and won the case,” said D’Souza. In September 2016, the bench quashed the environmental clearance given for the dredging project. The MPT was also directed to hold a public hearing in keeping with the EIA Notification of 2006. One of the public hearings held in May this year at Tilak Maidan in Vasco was for the dredging project. More recently, on August 22, the environment ministry issued a notification transferring all Goa cases from the NGT’s Pune bench to the principal bench of the NGT at Delhi. This move has been strongly opposed; two public interest litigations have already been filed before the Bombay high court at Goa challenging the ministry’s decision. Both the individual and cumulative impacts of the MPT’s expansion and redevelopment projects are immense. These were presented by the local people during the eight-day-long public hearings, with an ultimate demand to scrapping them completely. Vasco is about 40 km away from the MPT. Its residents claim they are already suffering due to the port’s handling of coal: fine coal dust that rises from the port facilities is brought to Vasco by the sea breeze, causing several breathing-related problems. For instance, during the public hearings in May 2017, Chandrasekhar Vast, a resident of Vasco, complained that fine coal dust had settled all over the trees near his house and that the Goan government had made no efforts to tame the problem. The people knew Vast wasn’t making things up. The MPT has regularly been in the news for causing air pollution. In mid-2012, GSPCB inspected the port and found that, “due to inadequate pollution control measures being implemented by the port authorities, the concentration levels of particles are found exceeding the permissible limits on various occasions during the course of ambient air quality monitoring”. A show-cause notice was subsequently issued to the MPT. In September 2012, the GSPCB also banned the MPT from handling coke and coal because of the worsening air quality in Vasco and its failure to install meaningful control measures. At the same time, the then chairperson of the MPT claimed “the order was issued in a hurry”. In December 2015, the GSPCB again issued notices to the MPT and two private companies (Adani Mormugao Port Terminal Pvt Ltd and JSW’s South West Port Ltd) for being responsible for high levels of air pollution in Vasco. The board also reduced the coal-handling capacities of both the companies by 25% and ordered them, and the MPT, to deposit Rs 10 lakh each in bank guarantees. A year later, in August 2016, the state government again warned both private companies of dire consequences if air pollution due to coal handling was not brought under control. In its 2016 annual report, the GSPCB has listed MPT as one of the most polluted areas in the state. According to Prabhudesai, if the port expansion projects are cleared, the coal-related air pollution will not remain limited to Vasco alone anymore. “The imported coal will be transported by road to Karnataka. Imagine the high levels of pollution it will cause in villages and towns through which the coal-laden trucks will pass,” Prabhudesai said. Villagers in Goa are already suffering high pollution levels thanks to the transport of iron-ore. Moreover, there are about 15,000 fishers spread from Vasco till Dona Paula and who depend on the bay for fishing. They claim that the handling of coal and other cargo at MPT has already been causing marine pollution. In April this year, they complained to the GSPCB when a portion of the Khariwado beach in Vasco, near berth 11 of the port, sported an unsightly carpet of coal formed as a result of coal particles being washed ashore. “Yeh dariya apna hai aur hum iss dariya ke raja hain” (‘This bay belongs to us and we are the kings of the bay’), said D’Souza, reiterating that the fishers had traditional and customary rights on it. He alleged that the government planned the port expansion and dredging projects without consulting the fishers. “Already some local fish varieties have vanished from the Vasco bay area. Oil leakages and spills from the vessels are other sources of sea pollution. Dredging the seabed will destroy our bay,” he warned. Environmentalists claim that the planned projects will also threaten populations of Goa’s humpback dolphin, a protected species under the Wildlife (Protection) Act of 1972. It is a near-shore species that is dependent on river mouths for foraging. And disturbing them will also affect tourism. In March this year, people also sighted a humpback whale and a whale shark at Grande Island, which is about 2 km southwest of the MPT. Most fish species are sensitive to low frequency sounds and dredging activities stand to produce a lot of them. Clearly, expanding the MPT to import large quantities of coal is going to have widespread impact on Goa’s people and wildlife, and potentially Karnataka as well. The Wire had emailed a questionnaire to MPT but there was no reply at the time of publishing. The article will be updated as and when a response becomes available.